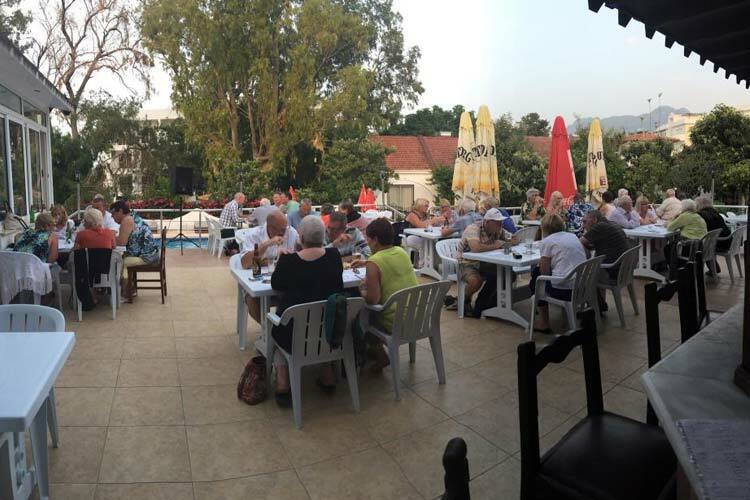 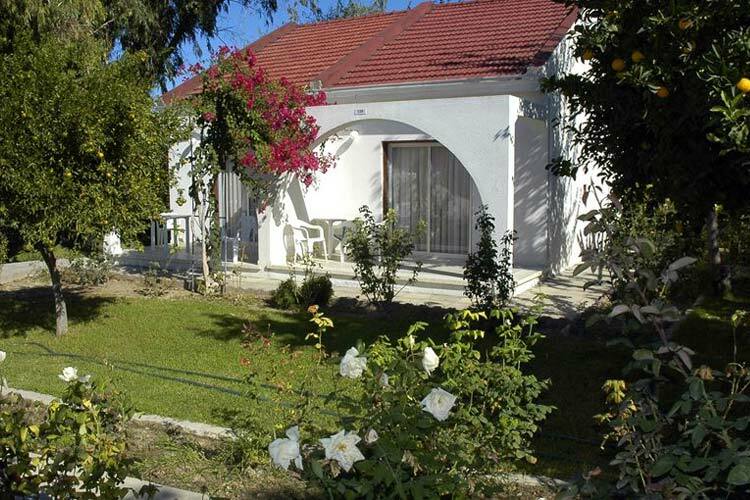 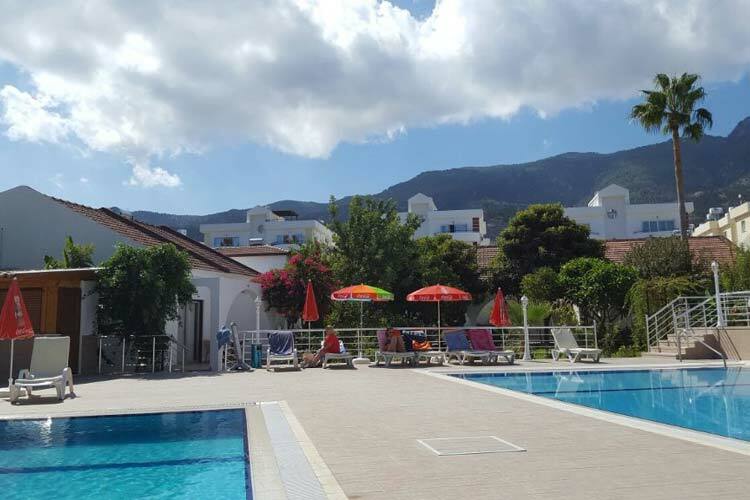 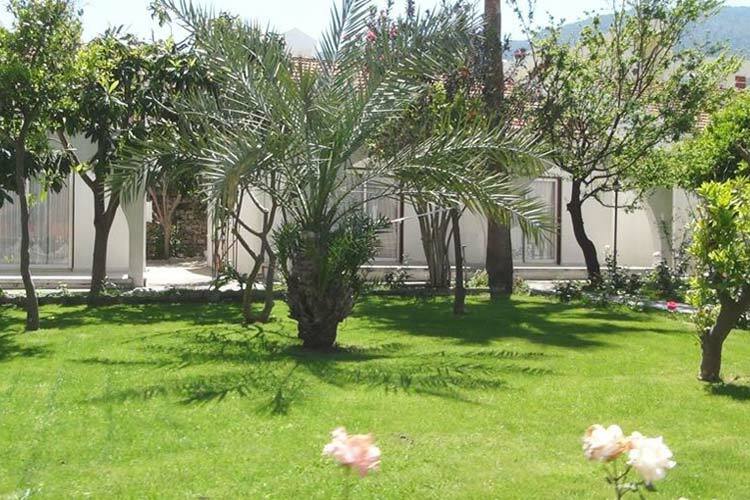 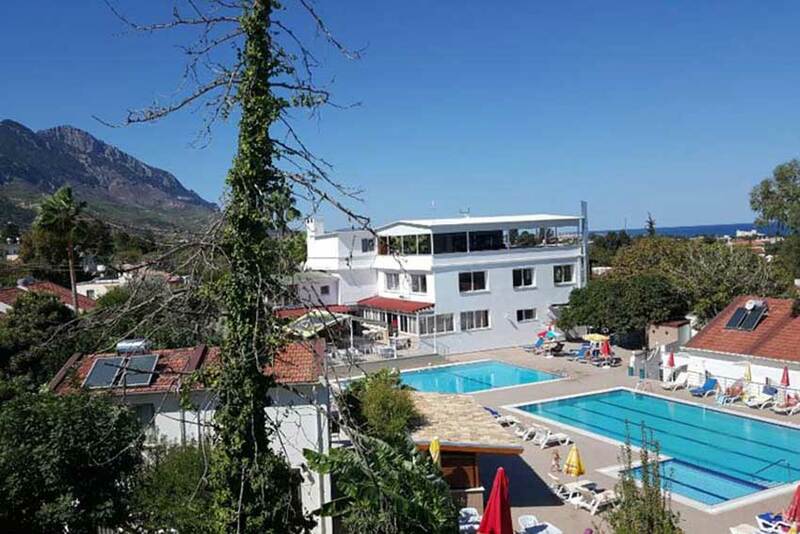 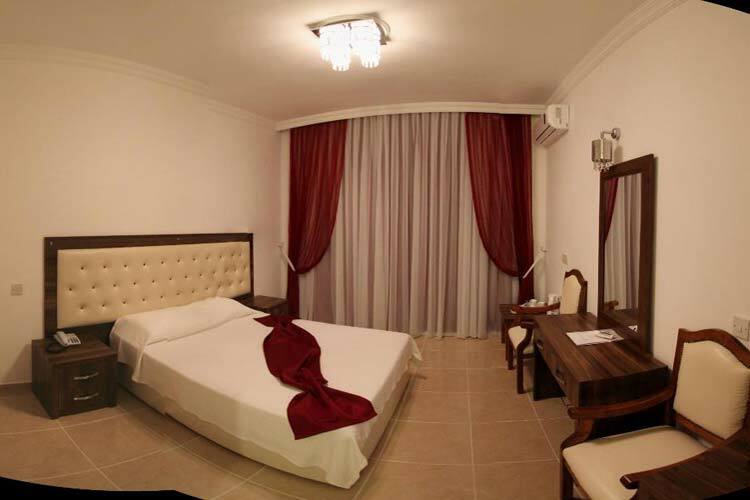 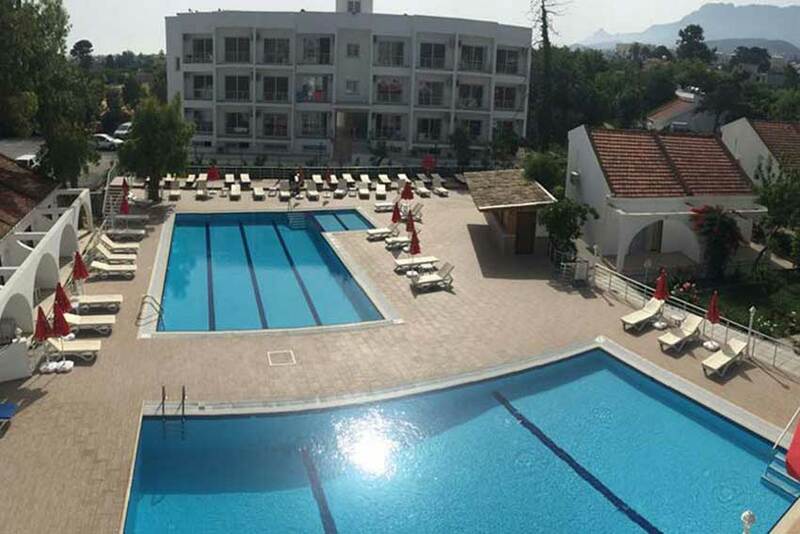 Set on the gentle slopes of Kyrenia mountain range, in a residential area in the village of Lapta, Rose Gardens Holiday Village in Kyrenia, North Cyprus is a charming small hotel with friendly atmosphere. 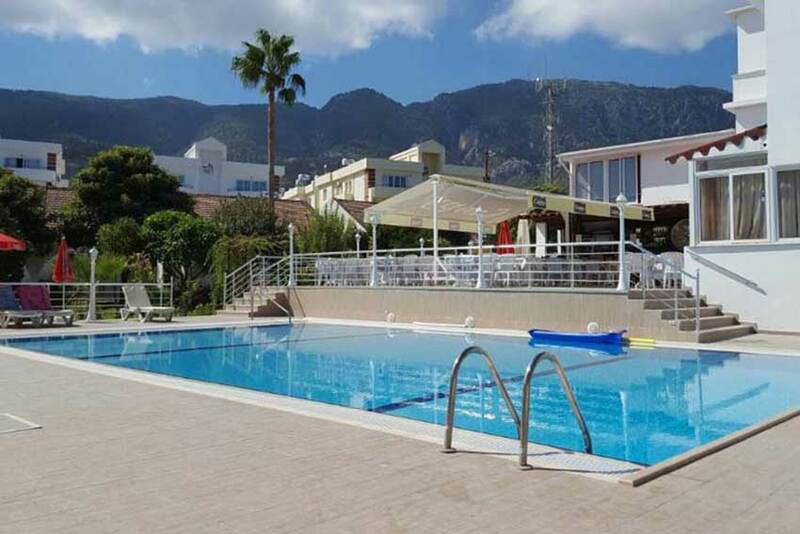 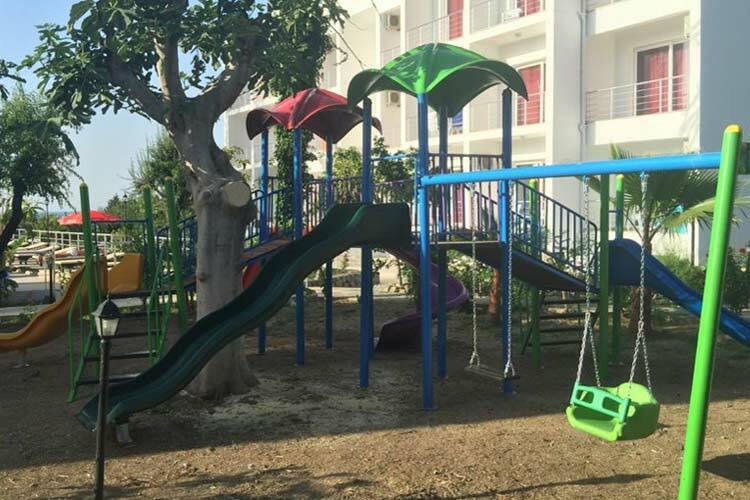 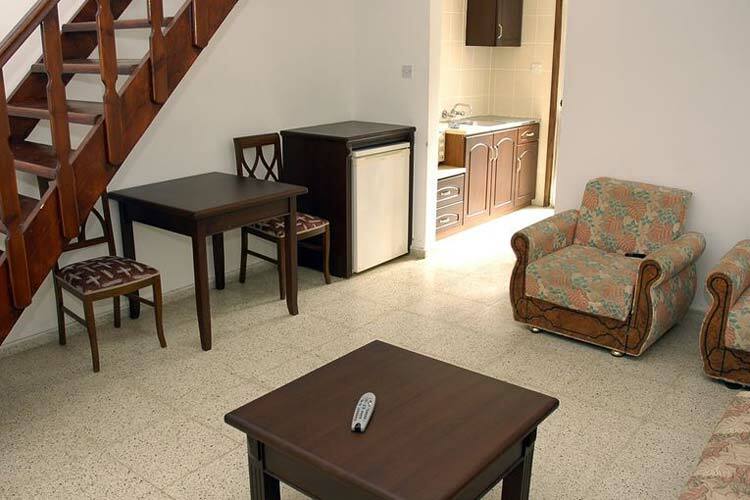 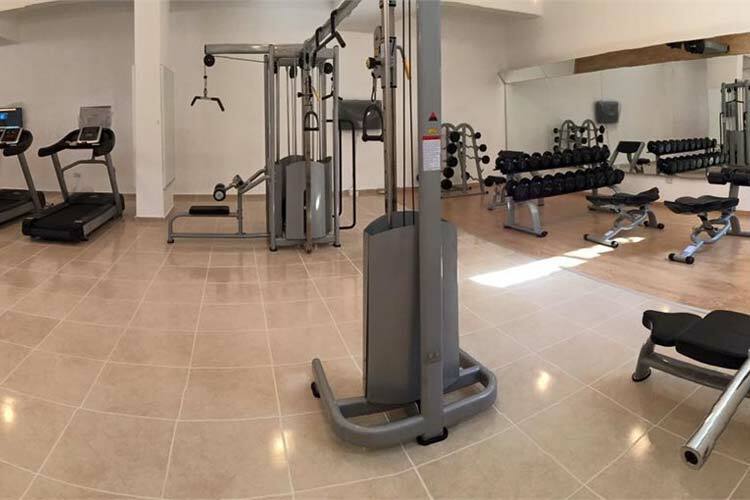 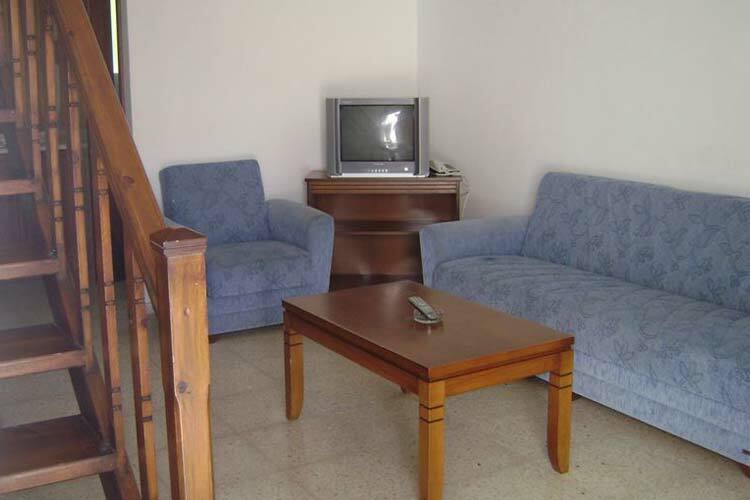 It is ideally situated between Kyrenia Mountains and the Mediterranean Sea, and is close to beaches in the area, as well as with convenient access to the public transportation. 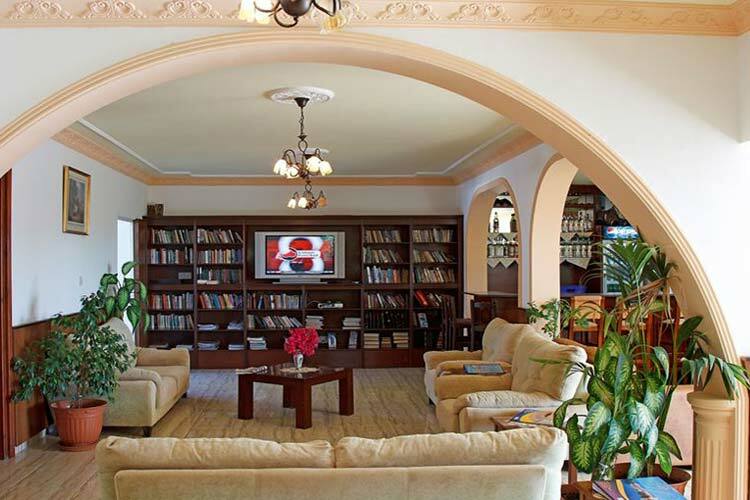 The hotel ensures that you will receive services in a comfortable, intimate, and welcoming setting. 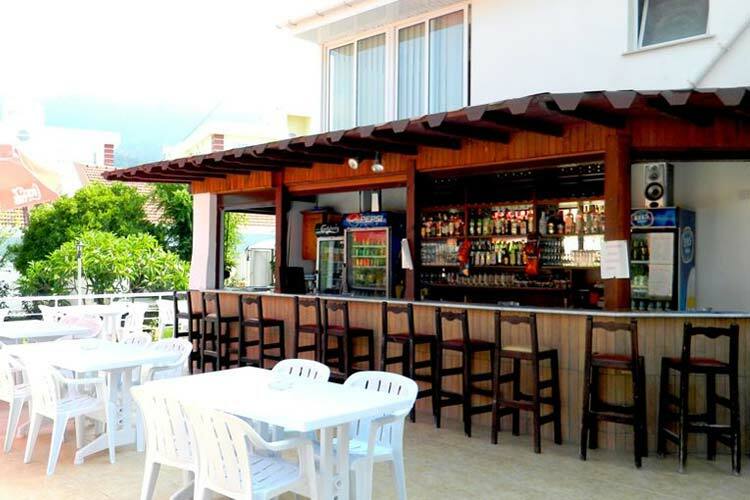 Rose Gardens has a restaurant with traditional and international kitchen, as well as a pool bar. 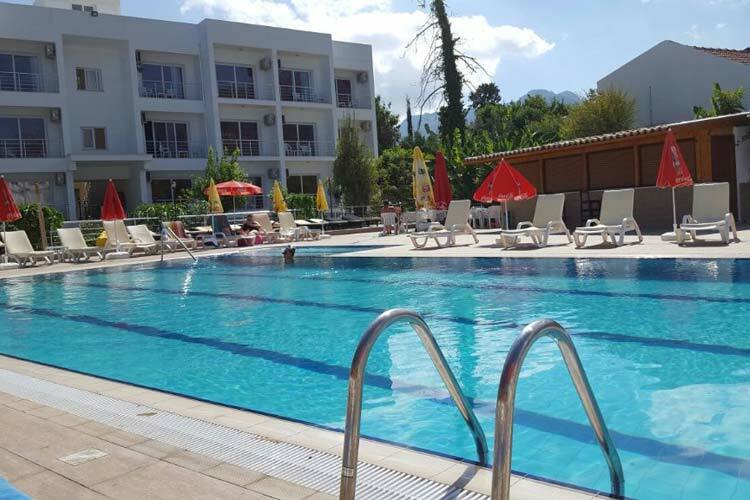 The swimming pool is perfect to have a relaxing day around the hotel. 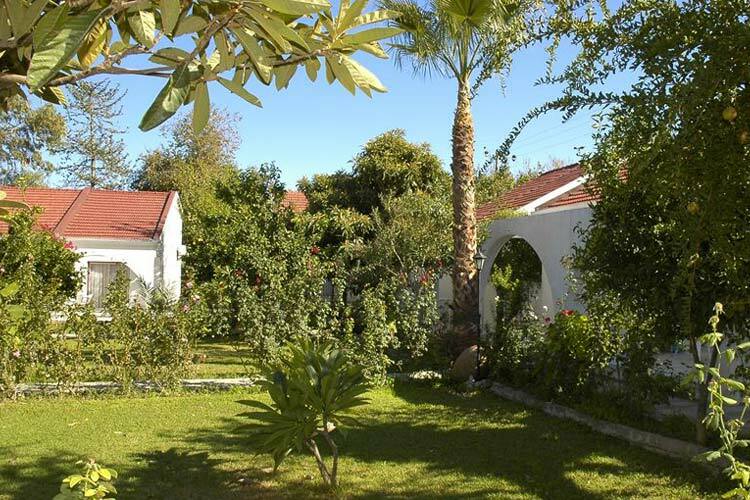 The hotel has galleried bungalows, each fitted with terrace, TV, air conditioning/heating, shower and WC, hairdryer, direct dial telephone, fridge and kettle, and hotel room with air conditioning/heating, shower and WC, hairdryer, direct dial telephone, TV, fridge and kettle. 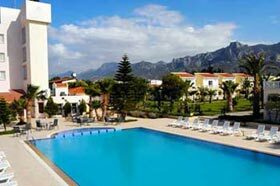 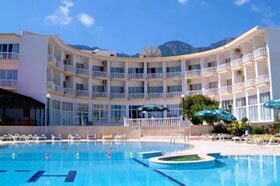 Rose Gardens Holiday Village is located in the village of Lapta, 13 km west of Kyrenia, Northern Cyprus. 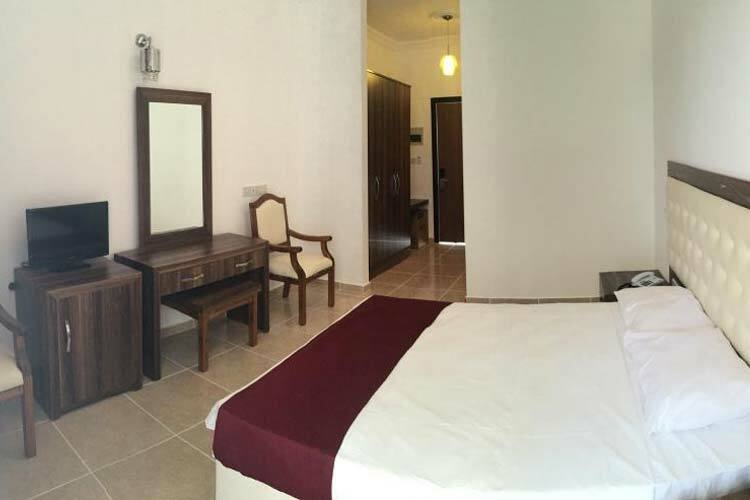 The hotel is located within 10 minutes walking distance from the main road where local transport is available. 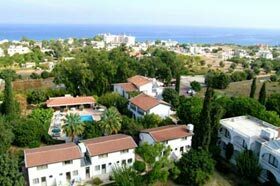 Distance from Ercan Airport 54 km, Larnaca Airport 92 km, Famagusta 89 km and Nicosia 36 km.